MDC Alliance leader Nelson Chamisa has vowed to step up pressure on President Emmerson Mnangagwa in the new year, saying it was time to set Zimbabwe on the path to reform. 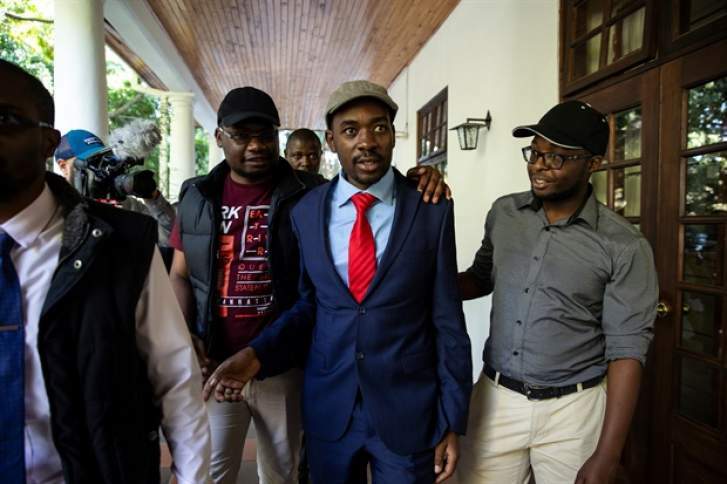 Chamisa told The Standard in an exclusive interview yesterday that Zimbabwe was being held back by questions of legitimacy around Mnangagwa's presidency. "We have to put a full stop to tyranny, dictatorship and be on the path to reform, nation building and peace building. It will be a turnaround year," he said. "It is a take-off year, remedying the ailment affecting our country. "It is also the year to revitalise and rejuvenate the organisation through organisational renewal and deepening of our internal democratic processes with the intention of giving effect to the party's new direction." Chamisa, who narrowly lost the July 30 elections, has refused to recognise Mnangagwa despite a Constitutional Court ruling that said the Zanu-PF leader won the polls. The youthful politician insisted that he was not power hungry and challenging the president's election victory was not for his personal glory. "We are not driven by love of power, but the love of our country, love of peace, our people, resources, and the love for each other," he added. "Power is meaningless if it is not serving its countrymen." The MDC Alliance leader said his Zanu-PF rival needed to understand that dialogue between the country's two main political parties was the only way out of the economic and political crisis stalking the country. "He does not understand that there is nothing that can beat dialogue - this is what separates humans from other animals," he said. Meanwhile, Chamisa also rejected findings by the Motlanthe Commission of Inquiry into the August 1 army killings, which suggested that the MDC Alliance was behind the violent protests. "The Motlanthe findings were not backed by any fact. You don't say an organisation has organised protests when it has structures and you don't cite any reason why the decision was made," he said. "Who in the MDC and how did they organise the protests and with what intention? "It is hard to understand the warped reasoning behind the report. It has no factual basis." The commission, appointed by Mnangagwa, said the army and police were responsible for the deaths of the six people and the injury of scores that were shot by the soldiers.